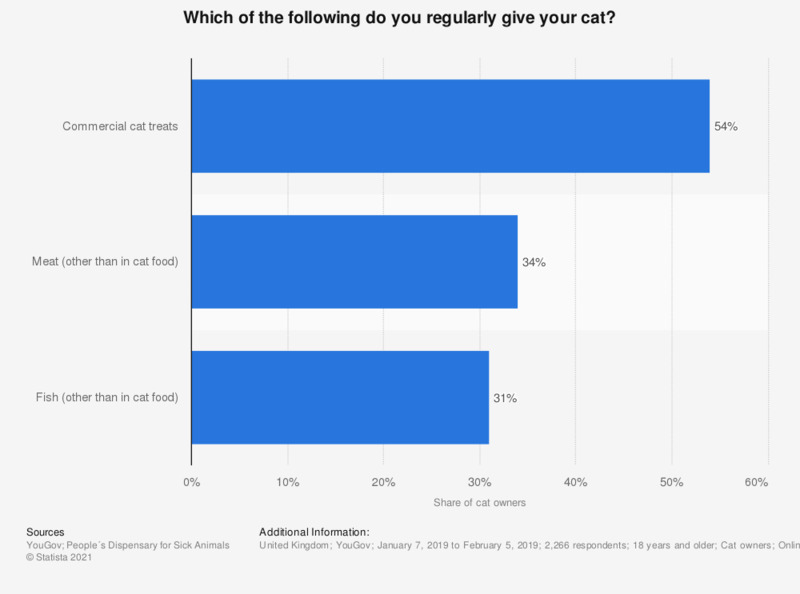 This statistic displays the results of a survey conducted in 2018, in which cat owners in the United Kingdom (UK) were asked which treats they regularly give their cat. Among the various types, commercial cat treats are the most common, given by 53 percent of owners surveyed. Meat and fish products, other than that in cat food, rank in second and third place, popular among 37 percent and 32 percent of owners, respectively. Which of the following is your cat afraid of? What is the main source of information you use when deciding how much to feed your cat?